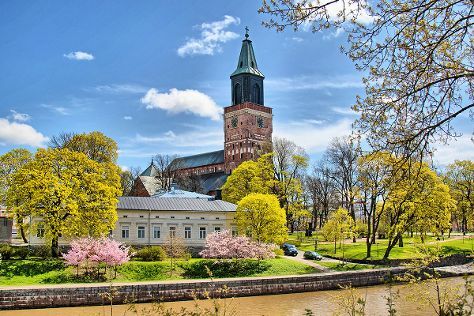 Start off your visit on the 2nd (Fri): take in the spiritual surroundings of Turku Cathedral and then tour the pleasant surroundings at Ispoinen Beach and Sauna. To see ratings, reviews, and other tourist information, read our Turku trip itinerary planner . Skopje, Republic of Macedonia to Turku is an approximately 16-hour flight. You can also drive. The time zone changes from Central European Time (CET) to Eastern European Time (EET), which is usually a 1 hour difference. When traveling from Skopje in August, plan for much colder days in Turku, with highs around 23°C, while nights are a bit cooler with lows around 12°C. Wrap up your sightseeing by early afternoon on the 2nd (Fri) to allow time for travel to Nagu. For traveler tips, ratings, more things to do, and more tourist information, read our Nagu trip planner . Drive from Turku to Nagu in 1.5 hours. In August, daytime highs in Nagu are 23°C, while nighttime lows are 12°C. Finish your sightseeing early on the 2nd (Fri) so you can travel back home.